Understanding the ocean is very important - the more you know about how waves, wind and tides affect conditions in the water, the better able you are to keep yourself safe, or even rescue others, from danger. 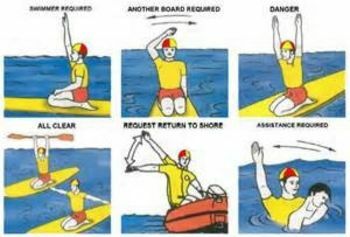 Recognising danger signs and awareness of surf conditions is an essential part of lifesaving. 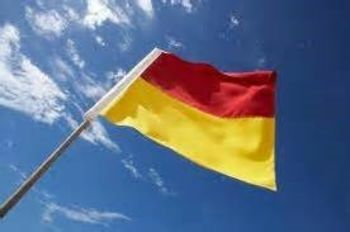 F - Find the flags and swim between them - the red and yellow flags mark the safest place to swim at the beach. L - Look at the safety signs - they help you identify potential dangers and daily conditions at the beach. A - Ask a surf lifesaver for some good advice - surf conditions can change quickly so talk to a surf lifesaver or lifeguard before entering the water. G - Get a friend to swim with you - so you can look out for each other's safety and get help if needed. Children should always be supervised by an adult. S - Stick your hand up for help - if you get into trouble in the water, stay calm, raise your arm to signal for help. Float with a current or rip - don't try and swim against it. A rip is a strong current running out to sea. Rips are the cause of most rescues performed at beaches. A rip usually occurs when a channel forms between the shore and a sandbar, and large waves have built up water which then returns to sea, causing a drag effect. The larger the surf, the stronger the rip. Rips are dangerous as they can carry a weak or tired swimmer out into deep water. If you are a weak or tired swimmer, float with the current, don't fight it. Swim parallel to the shore for about 30 - 40m until you reach the breaking wave zone, then swim back to shore or signal for help. Your hands can be dug into the sand in front at arm's length for stability and as a pull forward when ready to surface. As the wave breaks, take a breath, put your head down and kick hard until your body breaks through. Your feet should be together, your back arched slightly and your arms extended in front of you. As the wave becomes steeper, tilt forward and surf along the wave's face. As you approach the beach, pull out of the wave by turning your body away from the wave's breaking force, or jackknife dive and let the wave pass over your body.